I was really pleased when Dr Chrissi Nerantzi asked me to be one of the organisers for the #LTHEchat for the period Jan-April 2018. Previously, I have been a participant in the chat and found the experience both useful, fun and energising as the community of people involved are really enthusiastic. So, organising the chat was a great way for me to offer something in return. It was great to work with Kiu Sum, my co-organiser, as we quickly saw eye to eye on dividing up the work and Kiu was always there to respond when I needed an update. Kiu also offered a really valuable student perspective and ideas about how to involve more students, which really added to the chats we organised. A few chats in, it became apparent that the tool the community had been using to collate the chats (Storify) was closing so one of the LTHEchat community, Chris Jobling, suggested trying out Wakelet and they tested out the functionality. After that, Kiu and I set up a LTHE Wakelet account and tried our hand at using this tool; just one of the ways that participating means learning something new. For me, some of the benefits of the LTHEchats, are the challenges to my thinking that they offer as well as that satisfying recognition that others are thinking the same way or are dealing with similar things. And I can only say that I was mightily impressed by the activity of the LTHE people every Wednesday and continue to be so. Being involved in student engagement in learning and teaching alongside my undergraduate study was something I never thought of doing when I first became a university student. 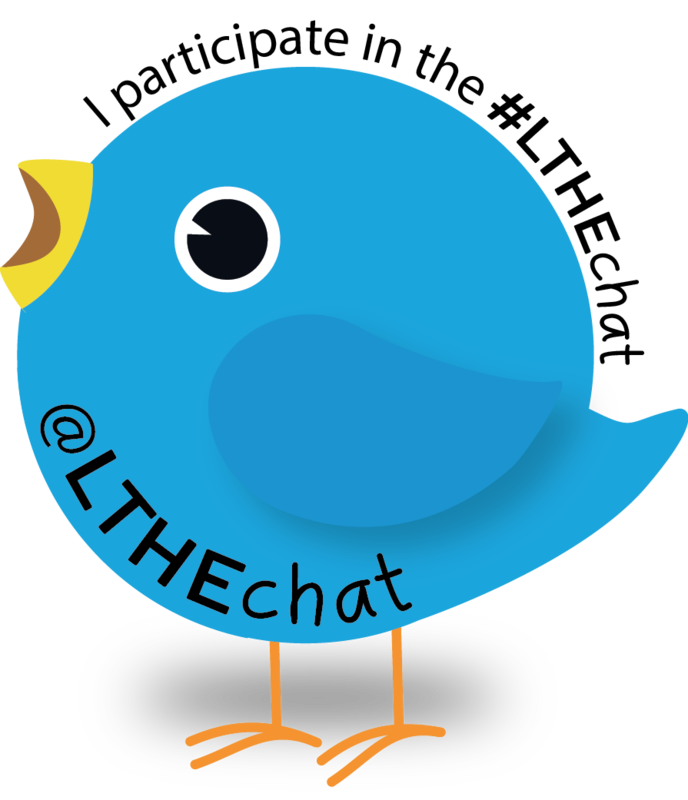 Stumbling across #LTHEchat was too something that was “not planned” and it was only in 2017 when I “officially” start engaging with the week chat. Student engagement and pedagogy in higher education has become one of my interests (alongside what I do by day!) and is something that seems I cannot not let go. When the call for a new organising team for January to April 2018 was open, I saw the opportunity to take up a new challenge and expressed my interest. I was pleased when I got invited by Dr Chrissi Nerantzi to join Kathrine as one of the #LTHEchat organisers – was not expecting it to happen so soon! A few months went by very fast and what an experience it was. For the first time, the teamwork was completely done online via the use of technologies – highlighting the importance that we can use digital technologies effectively! Whilst it was daunting initially, the support I had from Kathrine and Chrissi was incredible and we quickly gelled as a team despite only using online communication tools. During the short 4 months, I was also given the opportunity to host my (first ever!) 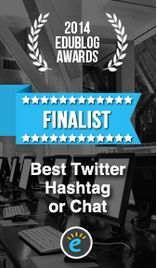 tweetchat! It was an exciting opportunity (and challenge!) and somewhat scratched my head a lot, not knowing how the chat itself would go coming from a student. So I decided to “flip the learning” and hosting it from a student’s perspective. With the chat falling on Valentine’s Day, “my date” for the evening was “Love Higher Education? Must be love, love, love…” (#LTHEchat 104*), with #LoveHE also. It made sense that it was related to love! With the continuous support from Kathrine and Chrissi, I thoroughly enjoyed hosting the chat and am pleased to see there were many fruitful discussions from the #LTHEchat community. Participating in #LTHEchat has opened my mind to learning and teaching outside my experiences. Most important of all is having the opportunity to engage with other members of staff and students who I may have never thought of engaging with. One important lesson I have learnt using Twitter and joining in tweetchats, such as #LTHEchat has developed my confidence and communication skills. While it may seem so “unimpactful or “meaningless” at first participating as a student, reflecting my time spent on Wednesday evenings has made it more meaningful (1 hour does go by very fast!). It feels like a good CPD session to learn, to share practices and developing my ‘graduate attributes’. But most important of all is building professional relationships, getting to know other things outside your own academic discipline and having further opportunities to co-create potential new projects. Trust me, it does break down the ice of knowing how to start a conversation as a student when you finally (or trying to) get to meet those behind their twitter handles at events and conferences! Thank you to the #LTHEchat community for the opportunity and definitely got no regrets on stumbling onto #LTHEchat a while back. In recent months there has been a shift towards more awareness of precarious working conditions, gender issues and racial injustice within society as a whole, and within academia, in particular. And while these developments are fantastic to observe, there remain many instances where the needs of students and staff are marginalised or forgotten, especially where the needs may not necessarily be visible but related to chronic illnesses, invisible disabilities and neurodiversity. Over the last few months, articles and position papers in Disability and Society, the Times Higher Education and The Guardian have highlighted how within academia certain ways of working and learning are expected and that disabilities, neurodiversity and chronic illnesses are often not catered for. In this tweetchat, we would like to explore our internalised expectations of workings in academia, consider how ableism (discrimination in favour of able-bodied/minded) intersects with gender, race, class, age and sexuality, and discuss what needs to be done to allow for a more diverse and inclusive environment for all. Nicole is a Lecturer in Education and Academic Head of Learning and Teaching in the Department of Culture, Communication and Media at UCL Institute of Education. She is a Senior Fellow of the Higher Education Academy. Her research interests lie with advancing learning and teaching and ways of improving knowledge generation, mainly through creative methods. Underpinned by her interpretation of human communication relying on the metaphorical understanding of the world, her PhD research on academic identity uses participatory approaches and creative methods to data collection and analysis to capture what is otherwise difficult to express. Jennifer is a Lecturer in Higher Education and Academic Practice at the Centre for the Study of Higher Education, University of Kent. She is a Senior Fellow of the Higher Education Academy. 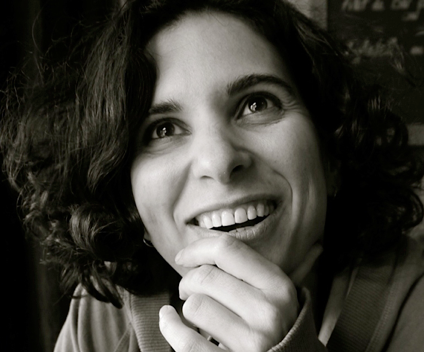 Her research stems from a background in movement, and focuses on embodiment, reflexivity, identity and creative research methods. Her doctoral work was a phenomenological study of how children perceived, reflected on and expressed their embodiment through movement. She won the Society for Research into Higher Education’s prize for Newer Researchers in 2016. The Wakelet for this weeks chat can be found here. The next #LTHEchat will take place on Wednesday 11th April 8-9pm (BST). This week’s topic is Team Based Learning (TBL) and will be led by Beck McCarter and Simon Tweddle. Dr Simon Tweddell is a Senior Lecturer at the University of Bradford. He was awarded a National Teaching Fellowship in 2015 and was part of the team awarded a Collaborative Award for Teaching Excellence by the Higher Educational Academy in 2017 for transitioning a large, established undergraduate Masters in Pharmacy programme from one that uses a traditional didactic approach to one delivered predominantly by Team-Based Learning (TBL). 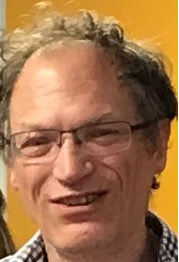 He serves as the only European member on the Global Board of the Team-Based Learning Collaborative and chairs the European Board of the Team-Based Learning Community. Beck McCarter is an Educational Developer, an accredited Trainer-Consultant in Team-Based Learning (TBL), a CATE Award winning team member and a sidekick extraordinaire. Passionate about improving both the staff and student experience, she is a #teambasedlearning #tbl evangelist. The next #LTHEChat Wednesday 21st March 8-9PM (GMT) will be based on questions from Luisa Wakeling and Ellen Tullo on the topic of “Involving the public in the design and delivery of higher education”. Ellen is a Lecturer in Ageing Education, Luisa is a Lecturer in Cell Biology and together, with Laura Greaves a research fellow from the Centre for Ageing and Vitality, they run a multidisciplinary, higher education module, Newcastle University Ageing Generations Education (NUAGE) aimed at undergraduate students from any academic background. Student interns and older people collaborate with Ellen, Laura and Luisa to design, deliver and evaluate this module, which has now run annually since 2013. The collaboration, aiming to challenge the association of ageing with frailty and focus learning on healthy ageing, involves a team of older members of the public recruited through the user group VOICE. This multigenerational collaboration ensures learning is grounded in the realities of ageing in the community rather than solely reflecting academic research priorities. The older public volunteers initiated the formation of a steering group (EXBEX- ‘expert by experience’) collaborating with student interns and teaching staff, guiding the development and delivery of the module. They also critically evaluate the NUAGE curriculum, obtaining a holistic and dynamic view of ageing. The joint #LTHE Chat with @RAISEnetwork Partnership Special Interest Group on Wednesday 14th March 2018 (8-9pm) will focus on ‘partnership with students in curriculum design’ and will be facilitated on the day by Dr Abbi Flint (@DrAFlint) and Wendy Garner (@FacultyHub). Following the rise in tuition fees in 2012, there has been a significant drive by government, related agencies and by the National Union of Students, for Higher Education (HE) providers to enable, support and demonstrate student engagement at all levels of the institution. One of the key aims of this is to promote the active engagement of students in constructing their own learning, rather than as passive recipients of knowledge and understandings. A review of the literature (Trowler, 2010) commissioned by the Higher Education Academy (HEA), concluded that most empirically based research into student engagement in HE originated from North America and Australasia. The review also suggested there is a lack of shared understanding of what these concepts mean and how they might be operationalised in practice. Since then, there has been considerable growth in scholarship around student engagement and partnership in all aspects of learning and teaching in the UK, supported by the publication of frameworks and principles to guide practice and policy (e.g. HEA, 2016; TSEP, 2015; sparqs, 2011) and through networks like RAISE (Researching, Advancing and Inspiring Student Engagement). One aspect of many of these frameworks is working with students as partners within the context of curriculum design, with scholarly development of this area by colleagues such as Alison Cook-Sather in the USA and Catherine Bovill in the UK. This is an example of student engagement which can directly impact student learning and is supported by learning theory such as constructivism. However, it also prompts us to unpick our assumptions around what we understand by ‘curriculum’ and how power and control play out in the different roles staff and students undertake in curriculum design and development processes. In light of these uncertainties and potential tensions, there is much to explore and share, particularly within the context of HE in the United Kingdom. We encourage you to join us to explore some of these issues collaboratively, and to share your practice and ideas around student and staff partnership in curriculum design. HEA (2016) Framework for student engagement through partnership. York, Higher Education Academy. Dr Abbi Flint is an independent educational developer and researcher with a longstanding research and practice interest in student engagement and partnership. She is a Principal Fellow of the Higher Education Academy and a Visiting Research Fellow in Student Engagement at Birmingham City University. Abbi is particularly interested in how concepts of student engagement and partnership play out in practice, and how developing joint learning communities of students and staff can strengthen and sustain partnerships. 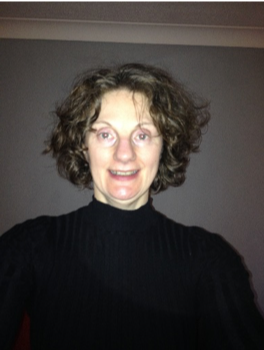 Wendy Garner is a qualified teacher and has been a Senior Lecturer for over twenty years. She is currently in post as Senior University Teaching Fellow at the University of Chester. Wendy is also a Senior Fellow of the Higher Education Academy. Her current areas of interest and research comprise student engagement, working with students as partners and the analysis of new provision within the context of the history of Higher Education in the United Kingdom. Her current interests centre on the diversity of student experiences within higher education. This includes evaluating pedagogic interventions for improving student engagement, exploring explanations for differential student outcomes and investigating the complexities of teaching excellence. She is interested in the scope and range of institutional research using the student voice, and particularly the use of digital storytelling. Liz is now using her significant teaching experience and research background in areas of social justice to lead funded research and present her work both locally and nationally. I am not an expert in critical race theory – I’m just putting that out there – but recently I have begun to explore notions of privilege within Higher Education. You don’t have to be an expert to realise that inequity is pervasive, you just need to start looking, really looking. And once you’ve seen it, don’t ignore it (or rationalise it as ‘unconscious’). Talk about it. And here lies a problem – admittedly, conversations about privilege, and in particular White privilege, are difficult. A team of researchers recently reflected on the challenges and barriers that they faced when trying to implement changes to the curriculum which had been shown to address differential student outcomes. They concluded that they had misjudged the ‘readiness’ of the institution to talk or action change and the impact of a ‘Critical Whiteness’ lens on explanations for differential student outcomes. Then they began start conversations: Have you had your Whiteness pointed out today? (If applicable); Why don’t White students mix in? ; Why don’t White students work harder? You can listen to our story here. And then I hope we can talk about it. We are working with colleagues from across the sector to develop a Critical Whiteness Toolkit. If you are interested in this development please do get in touch.